We are expanding our distribution network in Europe and are actively seeking EU based distributors to share in the growth of the world’s original and best single-use bottle. Please find below, links to the application form and other information. The application form is the first step to becoming a wholesaler for Steribottle in Europe. Applications are welcomed from qualified distributors from all nations within the EU (excluding the UK and Eire where the product is exclusively sold under the Tommee Tippee brand). Application form download – after downloading, fill in the electronic form, save it and send a copy according to the instructions on the form. Standard Terms and conditions download – the following link downloads our standard terms and conditions of trade. We can also be contacted with any questions through the ‘Contact us‘ section of this website. 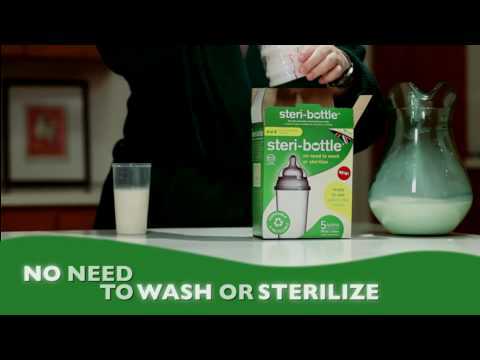 "Steri-bottle® is a fantastic practical and environmentally friendly product."